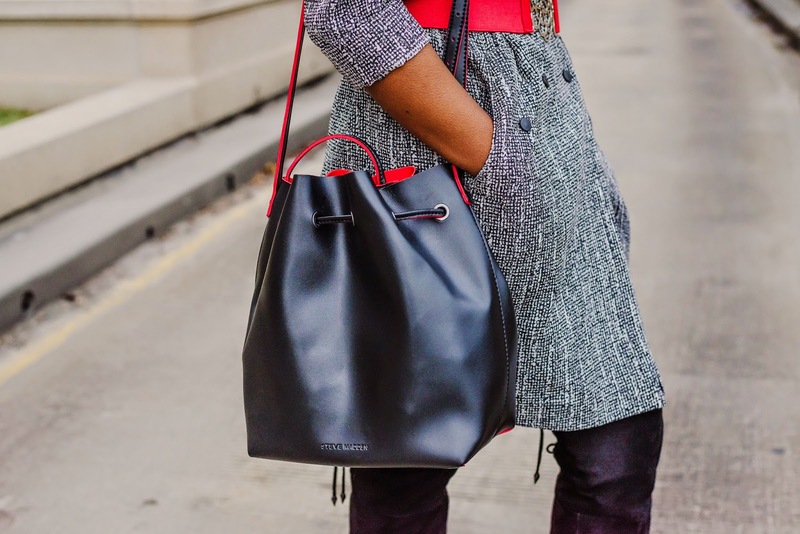 It was simply love at first sight when I happened upon this gorgeous yet affordable bucket bag from Steve Madden. The sleek texture and becoming red and black color combination sealed the deal for me. Of course, planing an outfit around this beautiful bag has never been more delightful. 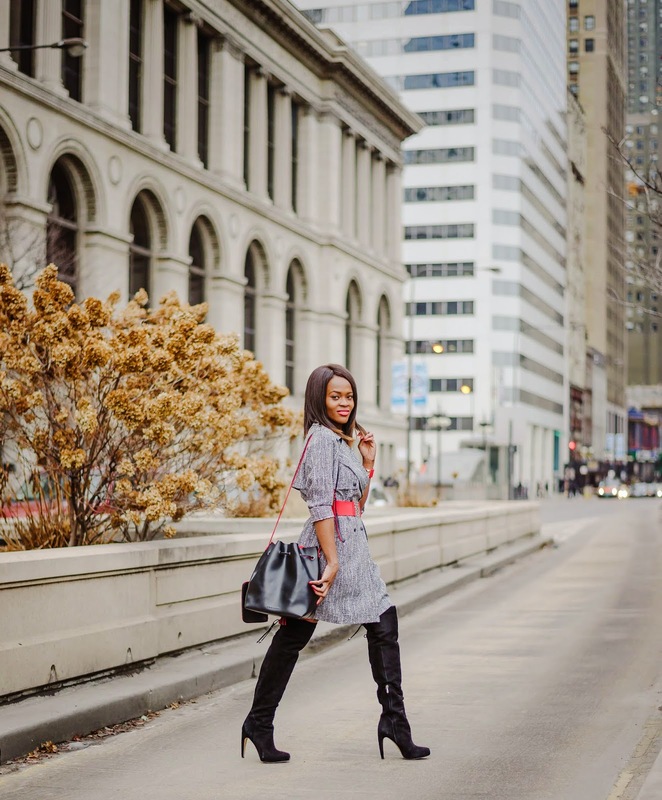 Mixing textures for contrast and incorporating red accessories to compliment the bag created a cool downtown chic look. 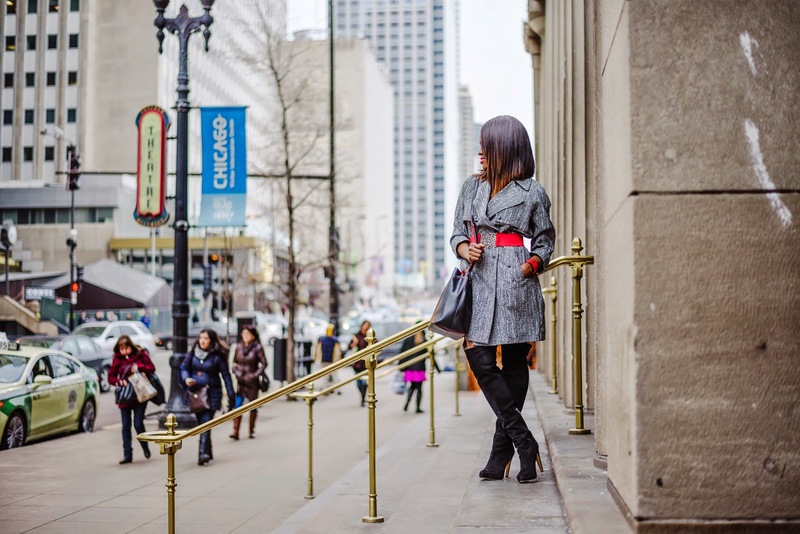 This winter, I’ve been all about belting chunky and over sized coats to create a flattering silhouette. 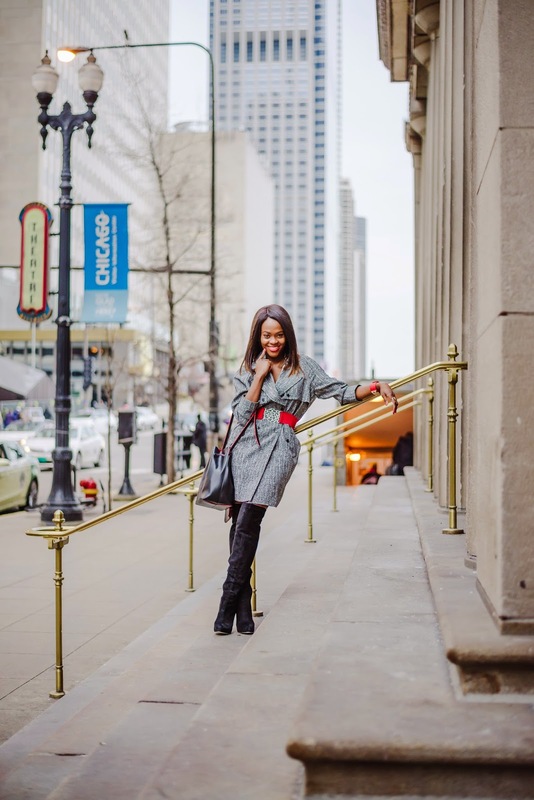 By adding a faux leather red skirt that complimented the texture of the bag perfectly, a flirty peek-a-boo effect was created with each stride as I walked down the streets of Chicago. 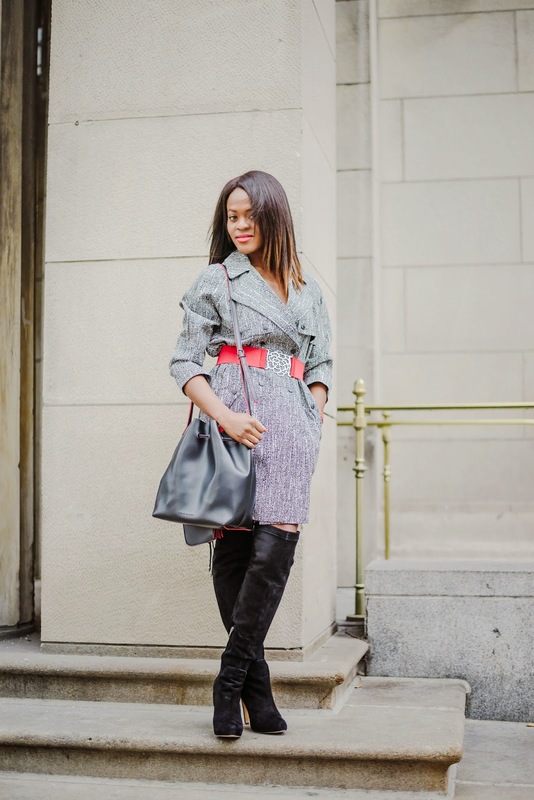 My well worn and well trusted Over the Knee boots (OTKs) completed this easy look. Thoughts? How would you style this sleek bag!